The Supreme Court Tuesday directed the CBI to file the case diary and the status report of the investigation in the 2017 SSC exam paper leak case. A bench headed by Chief Justice Ranjan Gogoi said it will take up the matter for hearing on April 11. 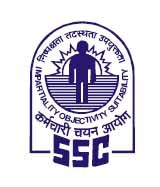 The apex court on April 1 allowed the Staff Selection Commission (SSC) to declare the result of a re-examination of SSC Combined Graduate Level (CGL) 2017 held last year. The top court had said that lakhs of unemployed youths have suffered because someone from the organisation was corrupt. The examination papers of the SSC CGL 2017 were allegedly leaked, leading to huge protests from job seekers for several days. Amid the protests, the SSC had recommended a CBI probe into the allegations of the paper leak. On August 31 last year, the apex court stayed the declaration of result of the SSC CGL and CHSL examination, in which lakhs of students had appeared, saying it seemed that the entire test and the system were “tainted”.